This post was originally published April 15, 2015. I have updated it extensively and republished it on March 29, 2016. How much structure should parents provide and how much is the teen ready to manage on their own? This is an evolving issue with increasing self-management going to the youth in preparation for young adulthood. When there is too much parental structure for a youth’s needs or too little, it is an invitation for The Parent-Teen Control Battle to enter the relationship. Here is an example of a family where The Parent-Teen Control Battle pointed to too little parental structure. I met with this lovely family — a 16-year-old girl, Elena — and her parents. She was beyond bright and with little effort had achieved straight A’s all the way through to her junior year in high school. Now she was at a point where she actually had to study to get good grades, but that was not her habit. She somehow wasn’t attached to the idea of needing to work hard to get good grades. Her parents were understandably confused and exhausted. We talked about the fact that she needed to do her work — the reality that she wasn’t — and pondered the question of how this could be… particularly since she was such a bright and generally responsible individual. We agreed that for whatever reason, Elena simply wasn’t ready to be fully responsible. We also talked about neurodevelopment in the adolescent and how executive function — the higher level of the brain — was growing during adolescence. This function wouldn’t be fully developed until her early twenties and perhaps, while she seemed bright and capable, she still needed her parents’ executive function to compensate for hers. I asked Elena what percentage of her executive function she needed help with. In other words, how much could she successfully manage on her own, and how much help did she need from her parents? How much parenting does Elena need from her parents? How capable is she to self-parent or manage her responsibilities independently? Do her parents need to make the rules and provide the structure, or does she self-manage and provide her own structure, to manage her responsibilities? And these are the great ongoing and evolving question of teen-parent relationships. Elena thought a bit, and finally said she thought she was ready for about 60% — and that she needed her parents to provide 40%. I thought this was an amazingly honest self-assessment. Elena’s parents were quite stunned by her admission, and wisely, didn’t show it. Instead, they took this as an invitation to provide a structure that Elena, like it or not, would be accountable to. A structure with the built-in value of work first and play second. Until the work was done, there would be no privileges. When the parents made their expectations clear, the arguing and resisting went way down. There were instances where Elena lost her privileges and they returned when Elena took responsibility and recommitted to the structure her parents provided. Not surprisingly, Elena’s grades went way up, and Elena — happy with her success — took on increasing amounts of responsibility for herself. If your son or daughter doesn’t demonstrate the ability to manage critical responsibilities, maybe they’re not defying you. Maybe they’re just not ready. I encourage you to share your own stories in the comments below on defining structure and responsibilities for your teen(s) — both successes and challenges! WHAT SHOULD I DO ABOUT MY 16 YEARS OLD SON WHO PUSHED HIS BROTHER DOWN THE STAIRS WHEN HIS LITTLE BROTHER PUSHED HIM PLAYFULLY, HE JUSTIFIED HIS ACT BY “HE PUSHED ME SO I PUSHED HIM” THANK GOD NOTHING HAPPENED TO THE YOUNGEST , I GAVE A LECTURE TO BOTH OF THEM ,SEPERTLY, FOCUSING MORE ON THE OLDEST.IS WHEN I TALKED TO THE OLDEST AND HE GAVE ME THE “HE PUSHED ME SO I PUSHED HIM” EXCUSE I FOCUSED ON THAT HE MUST BE RESPONSIBLE ABOUT HIS ACTIONS , THE PROBLEM IS I HAVE NOT BEEN TALKING TO HIM PROPERLY SINCE THEN HOPING THAT HE WOULD APOLOGIES AND RECONSIDER HIS ACTIONS,HE HAS BEEN TRYING TO BRUSH IT OFF LIKE NOTHING HAS HAPPENED AND THAT APOLOGY IS UNNECESSARY ,I AM AFRAID TO BREAK MY STAND AND TALK TO HIM SINCE HE SHOWS NO SIGNS OF REMORSE HOWEVER I AM AFRAID THAT IT WILL ONLY AGGRAVATE THE SITUATION , WHAT SHOULD I DO PLEASE HELP!ALSO IF THERE IS ANYTHING I COULD HAVE DONE BETTER PLEASE ENLIGHTEN ME. Thanks for checking in and offering your suggestion Audrey. Here’s my thinking. Generally, when kids are being accountable and make a mistake, taking privileges away for a set period of time can do the trick of helping a teenager learn and grow. In a case like the one described above, Hunter was not responding well to parental expectations and his apologies were empty. 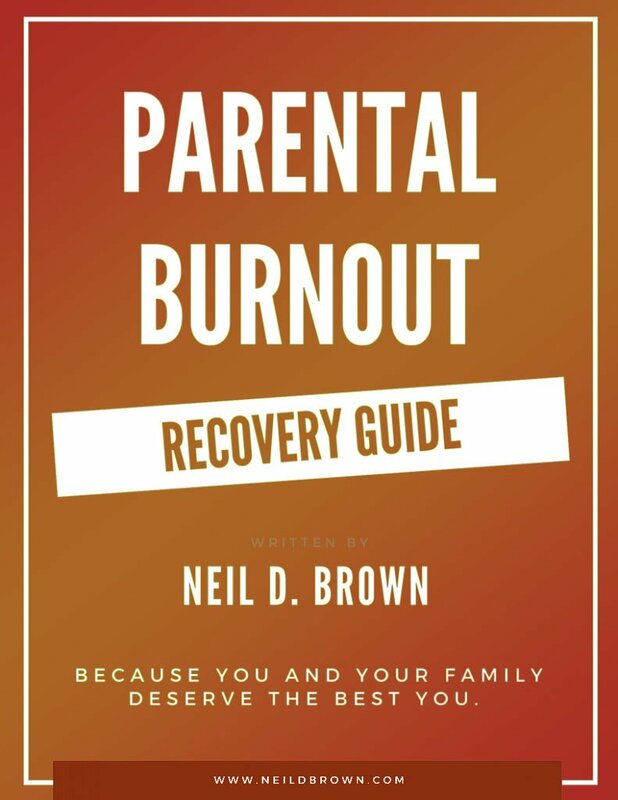 Here, the parents are trying to get their teenager to change, and the teenager is resisting their efforts and therefore not growing and changing. If Hunter gets a set date for getting his privileges back, he can meet a minimal standard and wait it out, only to have his attitude and negative behavior persist. By not giving a date for returned privileges, it shifts the burden from the parents to the teen and as we all know, no one can change a teenager’s behavior other than the teenager. This opens up the opportunity for Hunter to make real change and get back to learning and growing from his mistakes. Enter your email address to get this free guide. Are You Feeding The Behavior That You Want Your Child To Change? How Do I Deal With My Critical Mother? We Took A Stand And Made Some Progress; Now What?